This Lovely Suite is Detached from the Main House to give Absolute Privacy, Private Entrance with Keyless Entry. 4 Piece Private Ensuite, Queen Bed with Down Duvet and Quality Linens. Fridge, Coffee Maker, Microwave, Wall Mount TV with DVD. Private Patio with Hot Tub. The Upper House is set high on a hill overlooking beautiful Brentwood Bay. This west coast contemporary oceanside home is an ideal location for those seeking luxurious seaside accommodations on Vancouver Island. Beautiful two bedroom cottage situated on five rolling acres and minutes from the beach. The accommodation is situated on the island ov Vanua Levu in the Fiji Islands. The town of Savusavu is ten minutes away by car and can be reached by local bus or taxi (US $2). This superior property boasts all of the comforts of home in an island setting. 4 Bed 2 Bath - Recently renovated. Located in Yona (Southern village)Close to Navy Base. Unit has distant ocean view. Beautiful gounds with pool. Quet and secluded. Concrete house with electricity and water, accessible by river from Changi, Singapore (45 mins), also accessible by road from Johor Bahru town (75 mins.) Possible to anchor boat and yatch just outside the house. 4 wheel drive available. A nice and quiet place to relax. House In Peaceful And Quiet Vicinity For Rent. Californian style house in peaceful and quiet vicinity for rent. Minutes by car to city center and main commercial district of Singapore. Public transport (train & bus) is within one kilometre (0.6 mile) radius. Access to golf club & resorts is also a stone throw away. Less than ten minutes by car to the airport. Walking distant to public transport and shopping complex. Built in 1999, 2 bed 2 bath patio villa. Gated community, common pool and recreation areas. Very nice community with a mixture of retired and working families, children and pets. Monthly homeowners fee is only $85. Orlando airport is 50 minutes drive away. Historic Nunnery In Central Auckland. Historic Nunnery in central Auckland, New Zealand. Built as a large family home in 1908 with solid native timber. Situated a few minutes walk form the city centre and Aucklandâ€™s large park. Shops and busses at the corner. 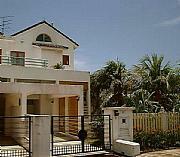 Located in a prestige neighbourhood within excellent school zones. lake ohau is situated in the mckenzie country just 45 minutes from mt cook,new zealands highest and most spectacular national icon. "goose cottage" is part of an alpine subdivision on lake ohau of some 15 other homes. the cottage itself looks up the lake to Mt sefton the 2nd highest. Nestled on a hillside overlooking the small town of Playa San Miguel, Cristal Azul is the perfect destination for those who are looking for privacy, comfort and tranquility. Step back to a quieter time and enjoy stunning views of pristine, undeveloped tropical coastline and starlit nights. Relax in our pool or enjoy a cool breeze while swinging from a hammock in the rancho. Coronet Bay is a quiet residential area. It boasts its own private beach, and has a boat ramp for residents. It has an electric Barbeque on the beach. There is a local store for most needs and they also sell liquor and petrol. The house has many modern conveniences, including a cosy fire place. I am interested in exchanging my bungalow for two to six months a year (or less) accomodation on Ireland's east coast, preferrably on the coast from Dublin to Cork. I am quite flexible for the exchange and I do not necessarily request the same type of accomodation.I am also willing to rent it out. If you are interested in properties in The Bahamas. Send us an email telling us what you want, and we'll find it for you! Whatever you need, we got it! If you want to sell your current property and move to paradise, we can help you with that. fully furnished,one bedroom condo w/ac&tv,one condo of 25 w/beach bar&restaurant. condo is on white sand beach w/view of largest ,living, barrier reef in the world. owner may occupy two months of the year,the rest of the year it makes income for you. feel free to rent before you buy! property is approx. 1/2 mi. s. of down town san pedro town, next to belize yacht club. Beautiful beach house with furniture is rented by season for US$5,000. Comfortable house living and dining rooms, kitchen, 3 bedrooms, 2 bathrooms, 3 garages, great terrace, nice landscape. The Building is located in the easten portion of central SÂ³upsk on the main road leading to GdaÃ±sk and Szczecin. The building's total space is 4420 m3, containing 8 seperate apartments renovated to the utmost quality with marble floors, elevator, videophones and private parking, the smallest apartment being 85 sq.m and the largest 100 sq.m. 2 BEDROOMS/BATHROOMS FOR YOU, A 50SQM. South of Spain, Almeria. The very best climate in Europe with only 7 days of rain per year . Brand new retirement homes constructed to the highest standards. Full service community and 24hrs security. Nearby the very best beaches, several golf courses , incredible views. 90 minutes away from skiing in the Sierra Nevada . Terraced property - approximately 100 yrs old. Situated in small community. 3 small bedrooms, shower room, kitchen / diner, lounge, small conservatory, loft. Small rear garden. Economical and cosy - ideal for couple or starter home for young family. Would like to sell but consider letting. A three storey property located in the capital city, Roseau. This property is suited either for Commercial /Residential purposes. The ground floor approx. 1125 . is divided into 3 spacious rooms. It is equipped with bathroom and kitchenette and ceiling fans through out the rooms. There is a small yard with storage room in rear of property. (EC$1500.